Success can be measured in many ways. We Measure success in a simple, yet powerful method; through the eyes of our clients. We are committed to the success of our clients, one client at a time. Allow us to demonstrate this commitment to you. Founder Brant Perkins has earned the AV® Preeminent™ Peer Review Rated by Martindale-Hubbell®, the highest award possible in the legal industry for professionalism and ethics. 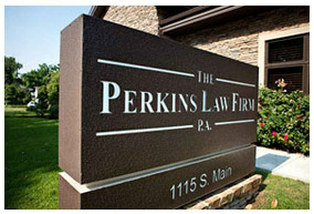 Call the Perkins Law Firm, P.A. at 870-931-5800 or contact us online for a consultation.